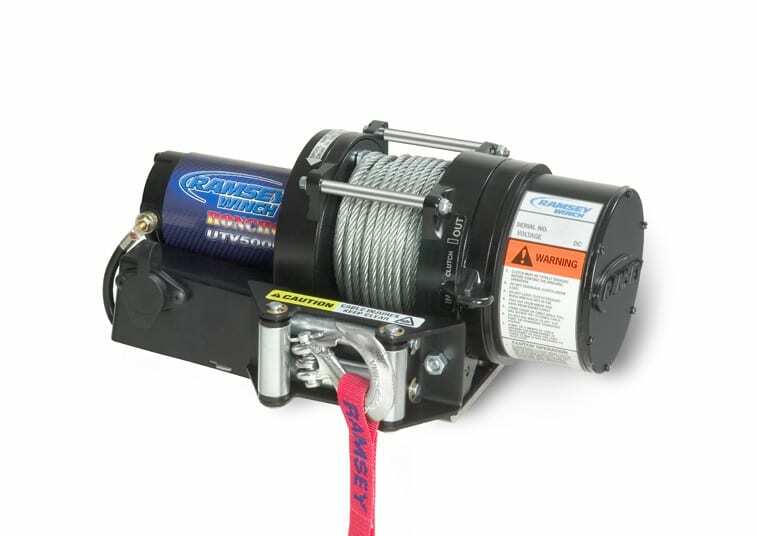 The Ramsey UTV 5000 Winch (includes 60 ft. of 7/32” galvanized aircraft cable with replaceable clevis hook) has all the dependability that off-road enthusiasts have come to expect from Ramsey Winch. The UTV 5000 is built rugged, strong and specifically designed for larger UTV applications with 5,000 lb. line pull for increased strength and durability.